UNG student Kayla Allen, left, UNG professor Dr. David Patterson, and UNG Student Brendon Zeller at the Koobi Fora Field School in Kenya. This summer, a University of North Georgia (UNG) professor and two students took part in a seven-week expedition across Kenya in search of evidence of early human origins. 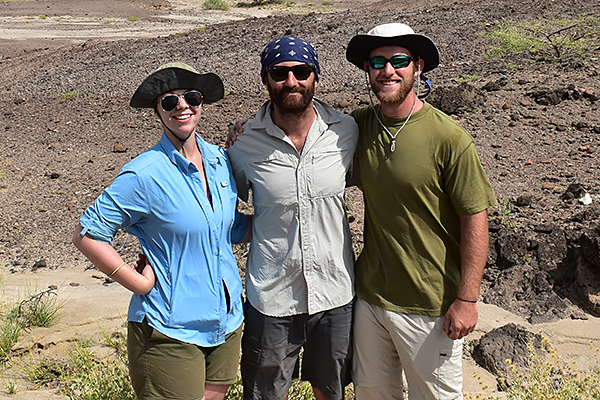 Dr. David Patterson and students Kayla Allen and Brendon Zeller were participants in the Koobi Fora Field School, working on two research projects focusing on the ancient ecosystem of East Turkana in northern Kenya. The field school is part of the National Museums of Kenya and George Washington University's Center for the Advanced Study of Human Paleobiology that exposes students to an in-the-field paleoanthropology experience. "It was an eye-opening experience, it's a completely different world that I've never seen before, said Kayla Allen, 24, a senior biology major. 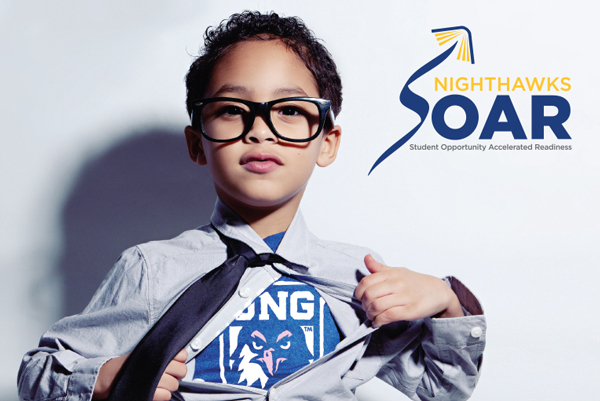 "The research that we were able to do there was transformative. I plan on doing grad school research in ecology, and going on this trip prepared me for that work." Brendon Zeller, 23, a junior biology pre-med major, thought the research for his project wouldn't stimulate his interest. "Studying fossilized soil didn't sound very interesting to me at first, but by the end of the trip, I wouldn't have traded my project with anyone else's," Zeller said. "It was a challenging project, both academically and physically. I got to dig for fossilized soil, which takes hundreds of thousands of years to form." 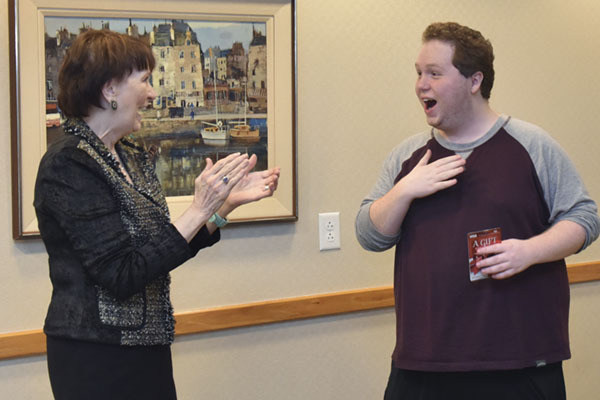 Patterson praised the efforts of both students. "They did an absolutely wonderful job," Patterson said. "Their research will undoubtedly contribute to a growing conversation about the relationship between environmental change and human evolution. I look forward to seeing their work presented at conferences and eventually peer-reviewed publications".